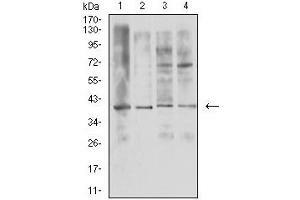 Western blot analysis using TNFSF11 mAb against HEK293 (1) and TNFSF11 (AA: 74-308)-hIgGFc transfected HEK293 (2) cell lysate. 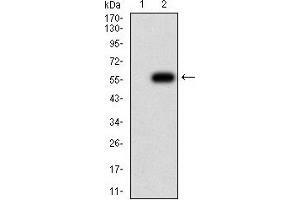 Western blot analysis using TNFSF11 mouse mAb against U937 (1), HL-60 (2), Raji (3), and Ramos (4) cell lysate. 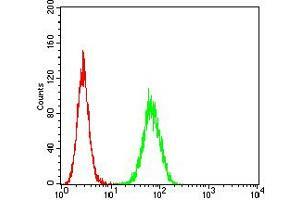 Flow cytometric analysis of Hela cells using TNFSF11 mouse mAb (green) and negative control (red). 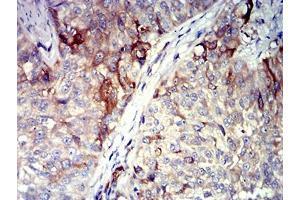 Immunohistochemical analysis of paraffin-embedded bladder cancer tissues using TNFSF11 mouse mAb with DAB staining. 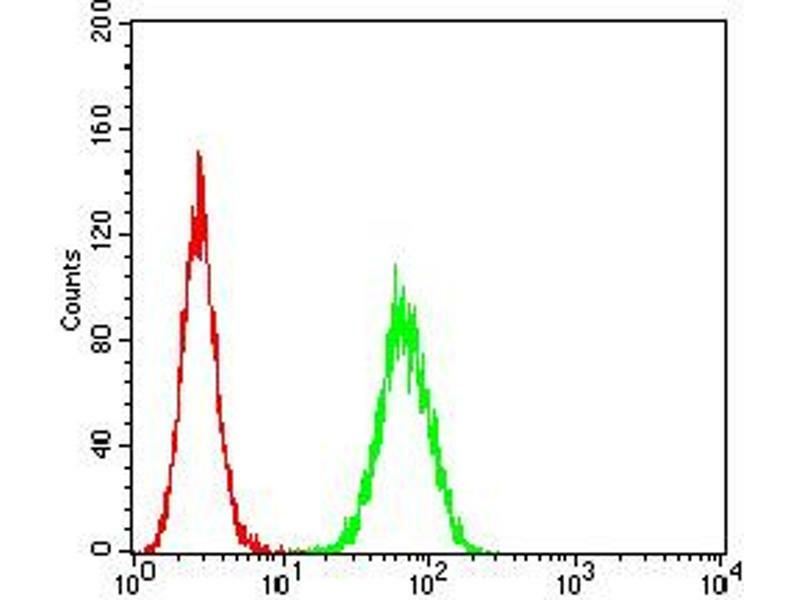 Immunogen Purified recombinant fragment of human TNFSF11 (AA 74-308) expressed in E. Coli. 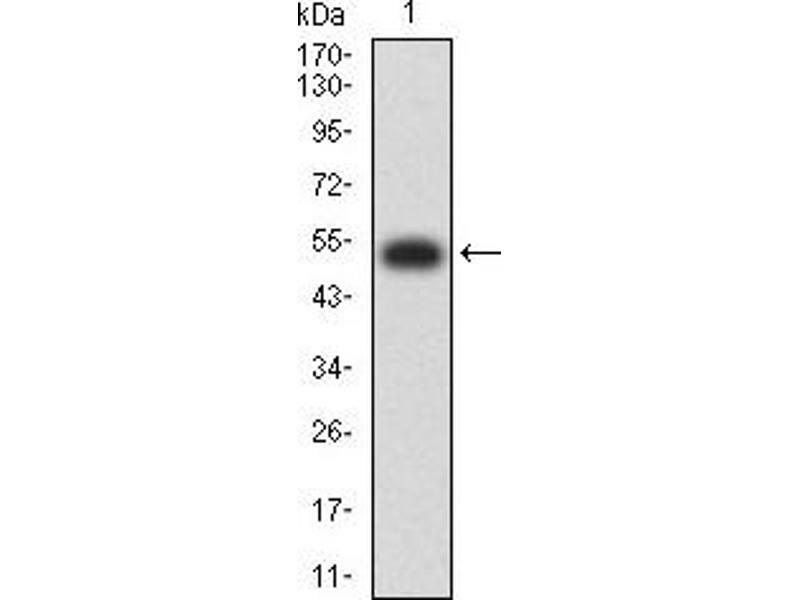 Hintergrund This gene encodes a member of the tumor necrosis factor (TNF) cytokine family which is a ligand for osteoprotegerin and functions as a key factor for osteoclast differentiation and activation. 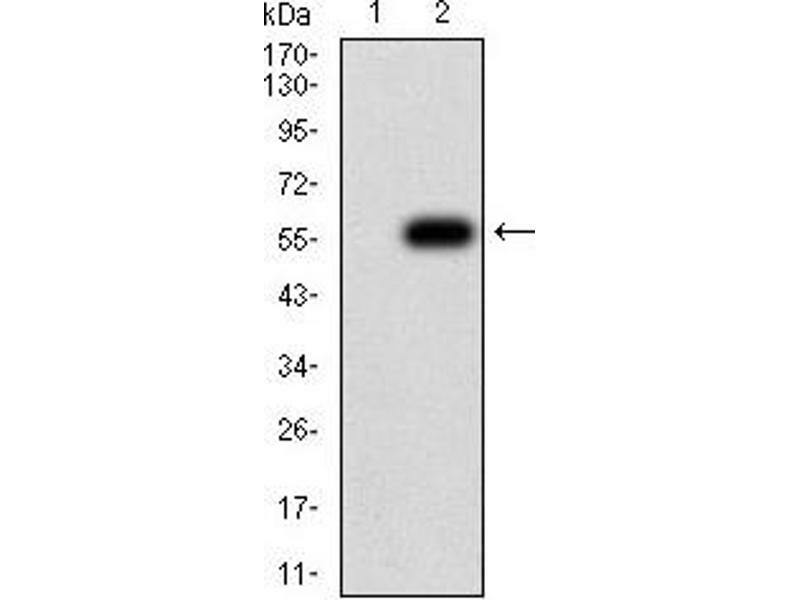 This protein was shown to be a dentritic cell survival factor and is involved in the regulation of T cell-dependent immune response. 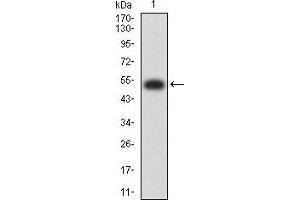 T cell activation was reported to induce expression of this gene and lead to an increase of osteoclastogenesis and bone loss. 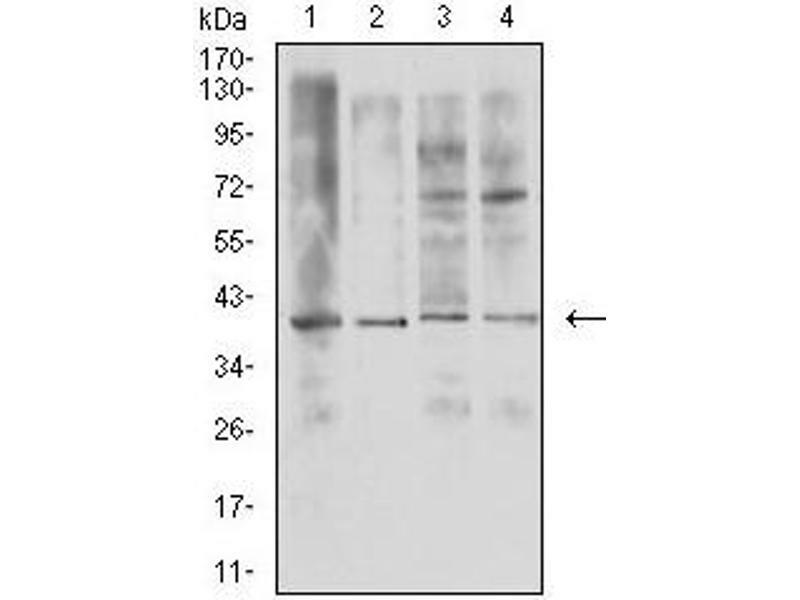 This protein was shown to activate antiapoptotic kinase AKT/PKB through a signaling complex involving SRC kinase and tumor necrosis factor receptor-associated factor (TRAF) 6, which indicated this protein may have a role in the regulation of cell apoptosis. 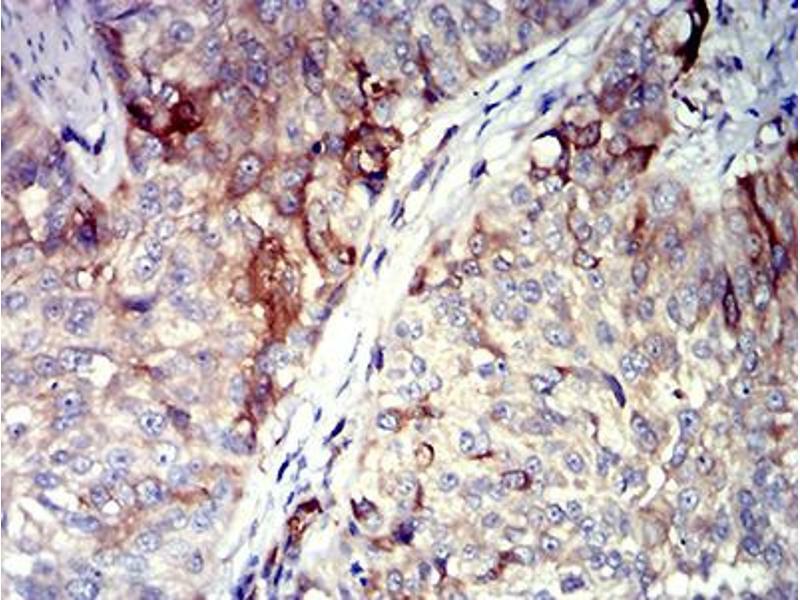 Targeted disruption of the related gene in mice led to severe osteopetrosis and a lack of osteoclasts. 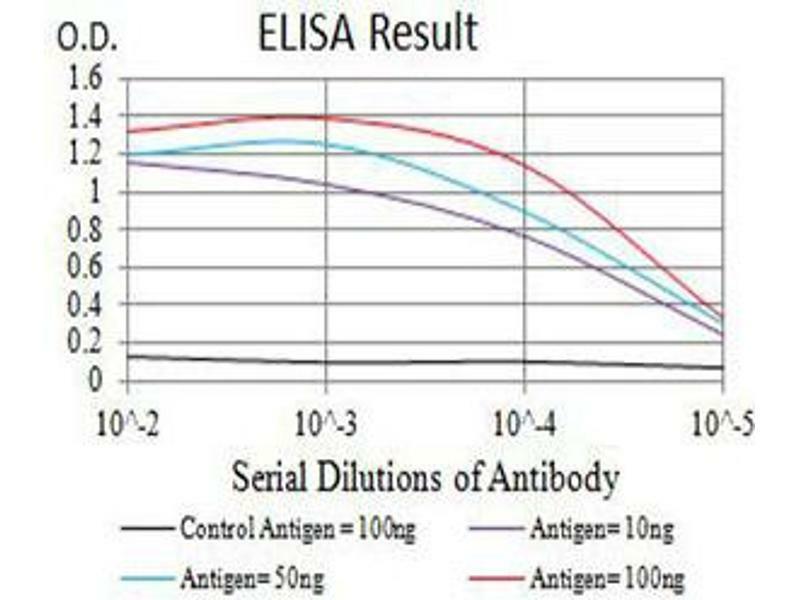 The deficient mice exhibited defects in early differentiation of T and B lymphocytes, and failed to form lobulo-alveolar mammary structures during pregnancy. 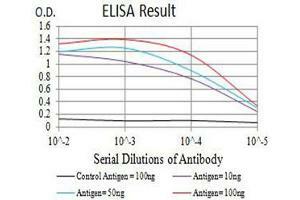 Two alternatively spliced transcript variants have been found.